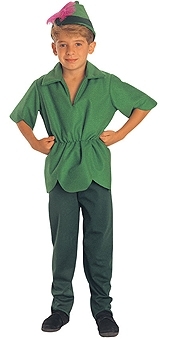 Fly away in this lovely Peter Pan costume, and rescue Tinkerbell from the evil Captain Hook. Costume comes complete with hat, shirt, and trousers. For details, see sizing chart. Size: Medium - fewer than 5 available for next day dispatch.